Question 7: What sort of margins are expected in the new market and how do these compare to the overall margins in our company? In the previous article we discussed the matter of sizing up competitors in the new market. In this seventh part of our market assessment series, we’ll look into another crucial aspect – profit margins. When you’re planning to enter a new market, you’re obviously doing it because its good business. You want to expend your business and increase your overall business profit. So what kind of margins are expected in the new market? They have to be worthwhile to justify entering the new market. Although you are an established company, when you enter a new market you have many traits similar to that of a new/smaller business. In an article about the importance of profit margins, CPA Jessica Kent talks about how margins are important for future planning. 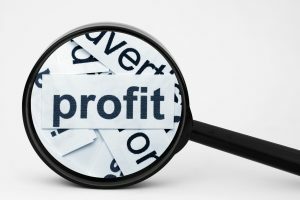 Your gross profit margin is a very effective tool for planning your company’s future operations. Since the margin considers costs and revenue, forecasting costs and revenues in the new market will help determine your overall profitability. Your current margins in existing markets should be one of your primary criteria. Ideally, the margin in the new market should be higher than existing market. 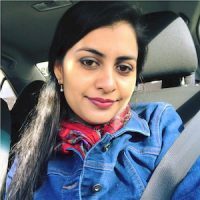 However, you should keep in mind that initially you might have to start with a lower margin in case you deem penetration pricing a good strategy. As stated by the Entrepreneur Staff, entering a new market is one of those times when you should, among other things, review your prices. You can also think of this as an opportunity to fine tune your operations as you enter a new market. This can lead to an improvement over your existing markets’ margins. So when you get better performance in the new market, you can apply any new strategies to your existing markets for higher margins. 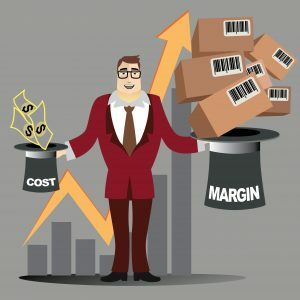 In an article on Inc.com, Jay Ebben, Ph.D., notes that managing your gross profit margin can help prevent issues such as too low prices and too high direct costs. You should find a benchmark for your margin as you enter a new market. This can include information on your competitors and of course, your margins in current markets. Your profit is an extremely important metric for gauging your company’s overall performance. Retail businesses aside, the most profitable companies in the world invariably have great margins. As such, profit margins should be given due consideration as your company enters a new market. You cannot consider your market assessment as complete without determining what kind of profit margins are expected in the new market.